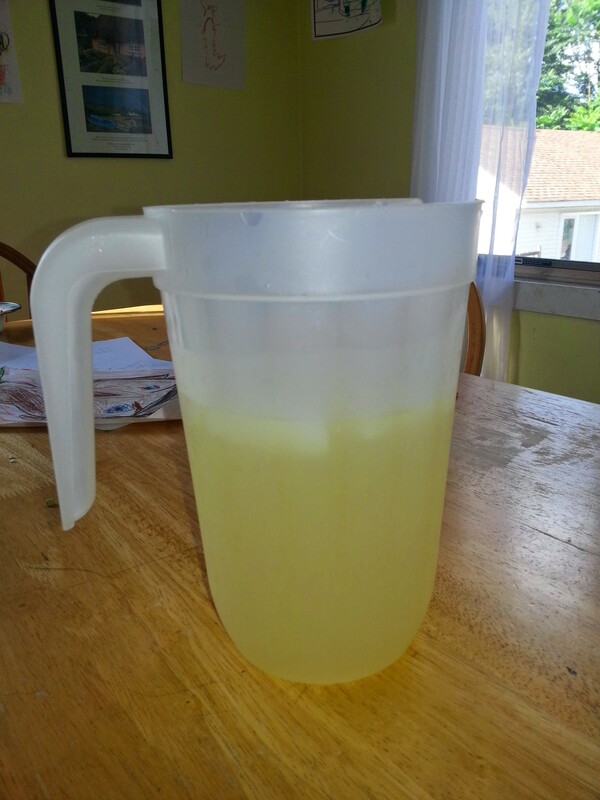 Is there anything better in summertime than homemade lemonade? I would have thought you just mix lemon juice, water, and sugar; however, the recipe calls for a sugar syrup made by heating water and sugar til the sugar dissolves. It’s a little puckery right now but I could always dilute it. I’m not sure how frugal this was since I can’t remember how much I paid for the lemons. But I’d say it’s worth it. I only used about 7 lemons. Any more than that and I’d have to invest in a juicer instead of hand-squeezing. The kids love it. 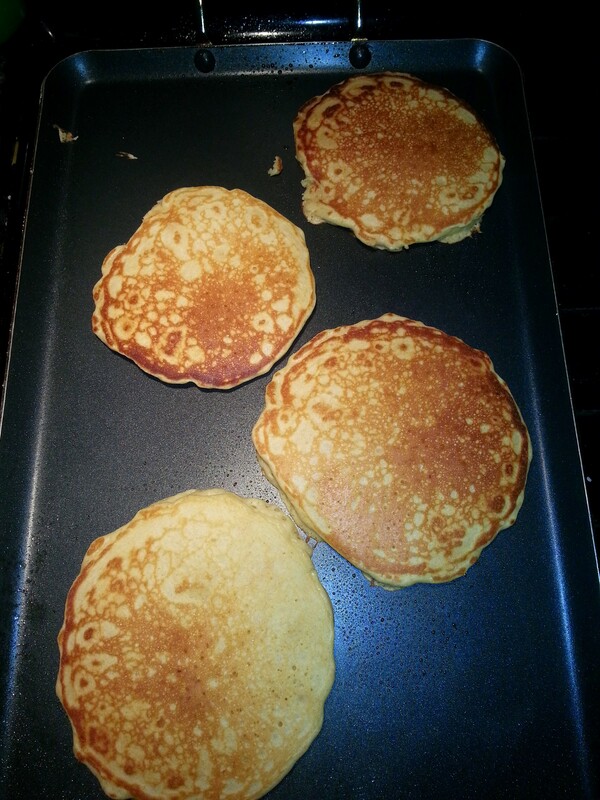 I also made pancakes completely from scratch, instead of using Bisquick, the other night. I’ve always used Bisquick, simply because my mom always did. These were way better. 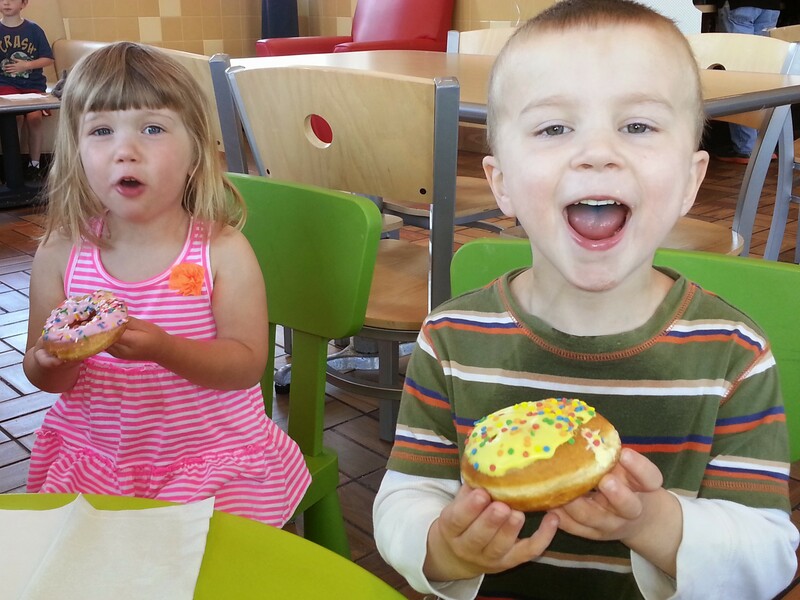 On another note, don’t forget to get your free donut today. But don’t, like I did, buy any of Krispy Kreme’s crappy coffee.